Thinking of Your Home’s Insulation? If you think you’re among the 80% of Canadian homes that are under-insulated,[i] performing a simple insulation inspection will help you determine your insulation needs. Having the correct amount of attic insulation can help you maintain a comfortable temperature throughout your home and help save money on your energy bills[ii]. Plus, it can prevent major issues like ice dams in the winter. First thing’s first, you need to go up into your attic, inspect the condition of the insulation, and calculate the current level of insulation. Your attic should have a certain amount of insulation in it, and the recommended level of insulation for your attic is dependent on where you live. Where you live—Different climates require different insulation R-values. You will need a higher R-value of insulation if you live in the north than if you live closer to the US border. Your home’s age—If your home is more than 10 years old, you likely need more insulation. There are many ways to retrofit a home with fiberglass, rock wool, or slag wool insulation. 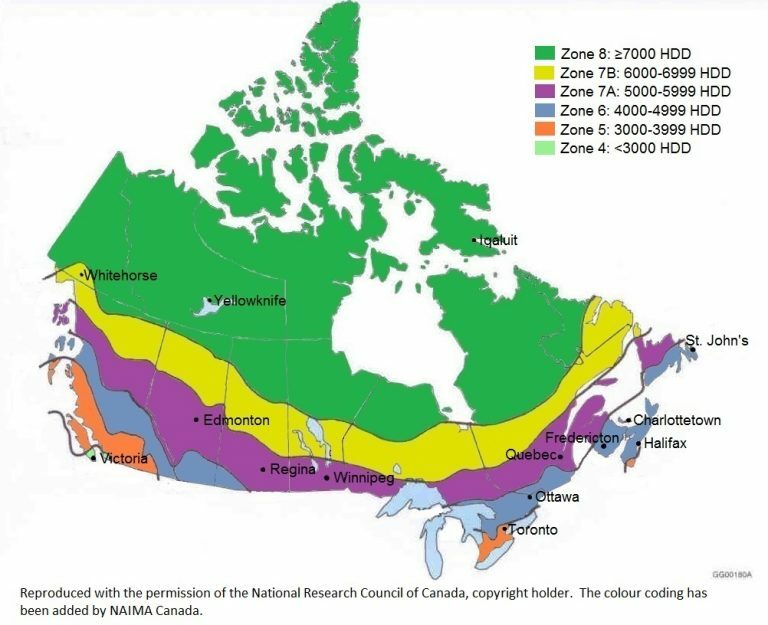 This map shows thermal recommended levels of insulation for various climate zones, based on recommendations from the National Research Council of Canada (NRC). NRC produces the model building codes for Canada. [i] Proskiw, G.[ii] Savings vary. Find out why in the seller’s fact sheet on R-values. Higher R-values mean greater insulating power.